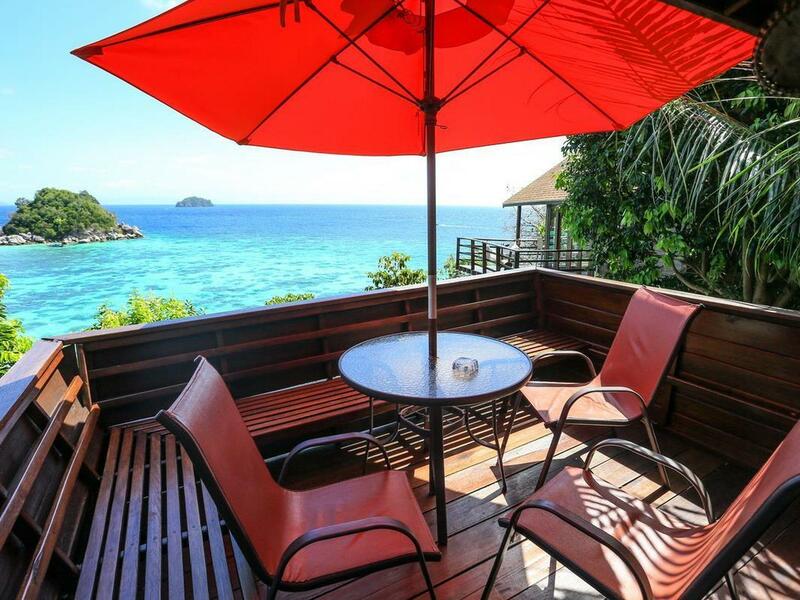 Have a question for Serendipity Beach Resort Koh Lipe? 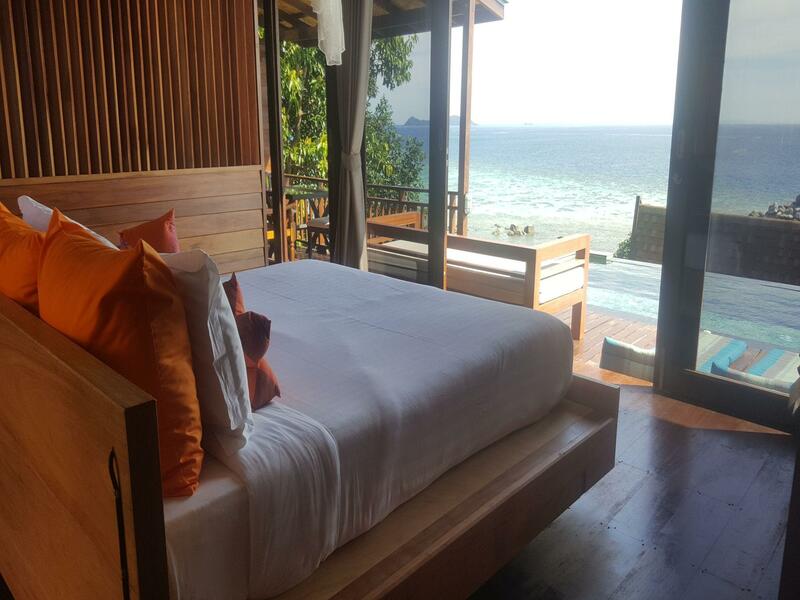 Situated in Sunrise Beach, Serendipity Beach Resort Koh Lipe is the perfect place to experience Koh Lipe and its surroundings. From here, guests can enjoy easy access to all that the lively city has to offer. With its convenient location, the hotel offers easy access to the city's must-see destinations. The facilities and services provided by Serendipity Beach Resort Koh Lipe ensure a pleasant stay for guests. While lodging at this wonderful property, guests can enjoy free Wi-Fi in all rooms, Wi-Fi in public areas, room service, restaurant, tours. Step into one of 12 inviting rooms and escape the stresses of the day with a wide range of amenities such as television LCD/plasma screen, additional toilet, complimentary instant coffee, free welcome drink, mirror which can be found in some rooms. Besides, the hotel's host of recreational offerings ensures you have plenty to do during your stay. 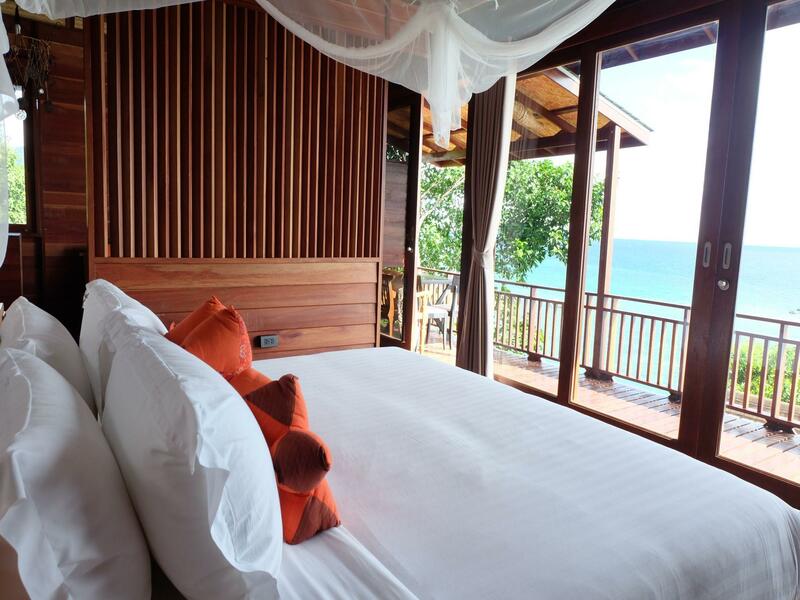 Serendipity Beach Resort Koh Lipe is your one-stop destination for quality hotel accommodations in Koh Lipe. The property offers a transfer service from beach to the property at no additional charge. In order to reserve the transfer, please contact the property at least 7 days in advance. Good food, good view & good services, what else can you expect? Ofcause if you are looking for something like a 5 starts hotel in the city, this is not what you’ll get, as they are different, you can never compare an apple with an orange right? Just a little suggestion on things that can be improve, the cover of cushion outdoor, it might be a good idea to cover it when there is rain (like how people do with their cushion on yacht), otherwise it will be difficult to clean the marks. This place is AMAZING. The views, the solitude, the vibe. 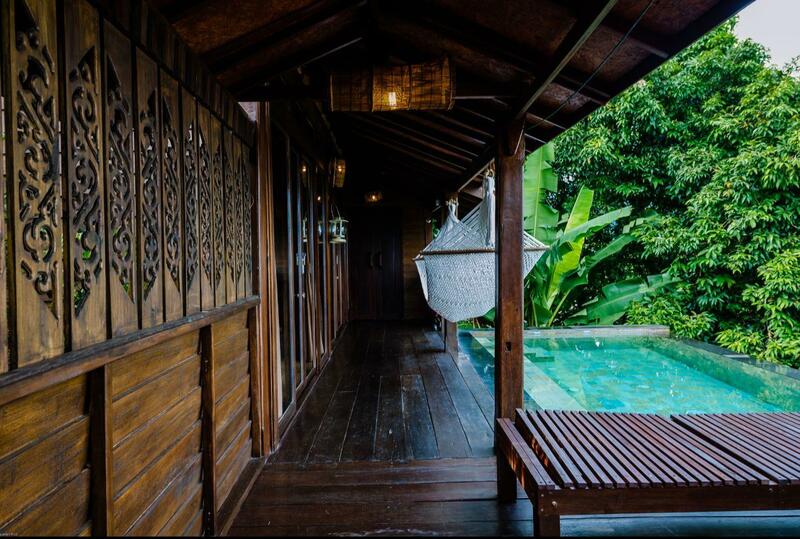 We never wanted to leave our bungalow (and for that matter, we never really did). Our own pool, prompt room service, and phenomenal views. The bungalow itself was clean and nicely decorated. The staff took care of our every want and need. I never wanted to leave! We spent (family 3 children 13,11,10) 5 days in serendipity resort on beautiful Koh Lipe, I can not find anything bro fault our stay service friendly and keen to help at any time, food was beautiful, the little beach safe for children any age, fantastic snorkelling trips with lot of fish and amazing healthy corals. 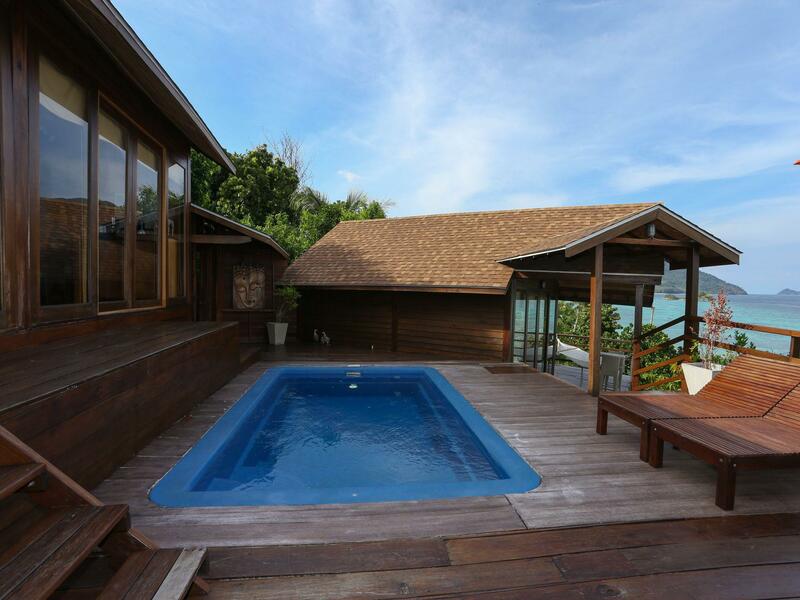 We had a pool villa on the hillside with a fantastic sea view. The room was really comfortable and clean. The small pool was great for the kids to play in. The lovely beach was just a minute's walk down the steps. We were there for a week and the visibility for snorkeling right off the beach varied with the tides and weather. First few days were really clear just off the beach, after that a short swim or kayak to the nearby island was needed to see the fish and coral. Either way, great fun and very natural. Food was good at the resort and there are a number of other places to eat just a short walk down the beach if you need some variety. You can also walk about 30 minutes to Walking Street and Pattaya Beach for even more choice. Breakfast is fantastic - you can order a variety of stuff the evening before and it's delivered to the room at whatever time you need. Service was wonderful - really friendly reception and restaurant staff. Everything was fantastic. We satisfied the entire our vacation. - Food and beverages (included signature cocktails) at On the rocks restaurant was very nice with lovely view. -All hotel staff were polite, enthusiastic and very helpful. -We got room No.16 with pool and the view was really amazing. -We can see Andaman sea while I was on bed, in bathroom and from the pool. -We loved to have breakfast at our balcony room beside pool with great view of sun rise. -There was no boat parking around in front of the hotel beach area. (No view obstructed) -Snorkelling and kayak equipments were free of charge. * Only 2 points, i would mention. 1. For person who has a problem with knees or difficulty to step on stairs. Rooms were on the hill, you have to walk many steps up and down. 2. Kayak paddles weight were so heavy. Both of above points made us feel exercise and we was still enjoyed anyway. The view is amazing. The food at the resort restaurant is not too bad, again view from restaurant is good. Can see sunrise from room. The service from Hannah is very good. Do beware of tonnes of stairscase up to the room n down to the beach. Not suitable for elderly, or anyone with knee problems. The in room breakfast and massage is good, every penny well spend. We loved our suite at serendipity. We felt truly at home here during the second hotel stay of our honeymoon. The staff was outwardly friendly and accommodating. They arranged a honeymoon bed for us upon our arrival. I wish we had realized during check in that snorkels and kayaks were free for customers of the resort. We didn’t read this in the resort information until just before we left. The stairs can be quite a workout. Breakfast served in the room was lovely and plentiful. The views were incredible and we loved the small beach at the bottom of the stairs. Non- beach access to the resort is a bit confusing, steep, not well lit and can be quite muddy during or after rain. We have already recommended the resort to many of our friends and family. Perfect and awesome Honeymoon Pool Villa! Everything was still perfect! Very clean und comfortable. Staff was super friendly. My room is No.15 that very nice view. All staffs are very nice, good take care. the price was high but it's worth to pay. The resort has the best location, it's quite and private. It should be your choice if you want to have peaceful holiday. We were impressed with the staff who "carried the luggage", he was helpful with smile. And, the staff who take care of customers in the restaurant, they were nice too. We came here in a big group of 6 and everything was more than perfect. As a big group, our rooms were upgraded to the pool villa for free, place was immaculate, service was top notch & the view is breathtaking. We will definitely return & stay in serendipity again. Oh.. not to mention the private beach, away from the crowd is the best. I loved our stay at Serendipity. As soon as I stepped in the hotel, the view from the lobby took my breath away. We had a private beach to ourselves, crystal clear, turquoise water. We we were able to swim to a nearby island and play with hermit crabs on the shore! Food was also good! We have had a wonderful stay at Serendipity, where friendly staffs were waiting for our arrival at the pontoon and the shore with umbrellas. The food at the hotel restaurant is nice. Snorkelling equipment & kayaking are all included in the room charge. We had a nice view of the sunrise straight from our room balcony, not to mention about the nice beach right in front of the resort. Many thanks to the nice and friendly staffs. The only minor downside are the long stairs up to our room and the dark quiet walk to/fro the resort at night time. Choose the room that not too far from lobby. Even you pay for the same type of room you ll get differnt view. The room we stay called "Mali". It s too far and not a good view. If money is not your problem. Choose the room with swimming pool. This small beach is not quite anymore cause there are new hotels pop up. So pity. But its still a good choice of stay. Had a wonderful stay in one of the private AC cabanas a bit of a climb up the hill - but worth it for the views and the peace and quiet, surrounded by trees and birds. 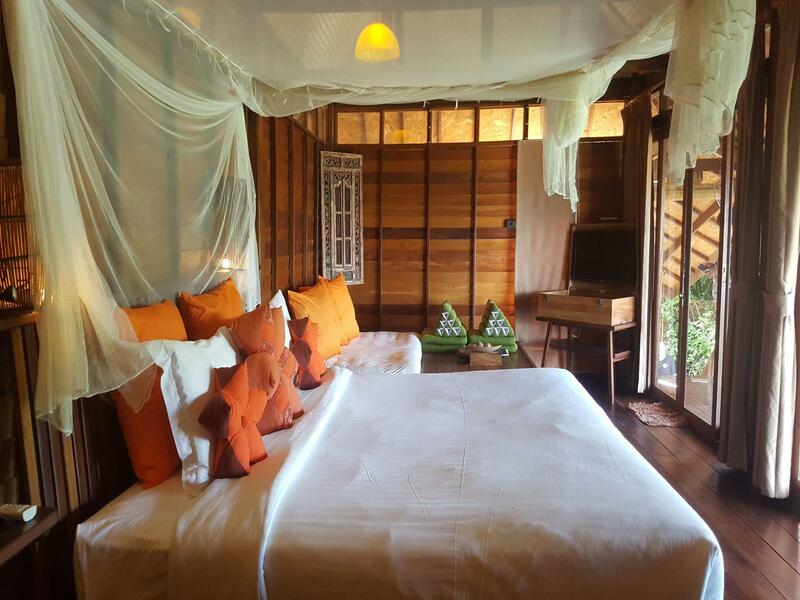 The room was comfortable and spacious, with a big mosquito net and good AC, decent bathroom. The service was quite discreet and very friendly, the food at the restaurant good. Great to have the complimentary breakfast served in the room every day. The small beach was clean, though off-season there was a lot of construction close by. Much of the rest of the island seems very developed, with lots of shops, hotels and restaurants. Staff is very friendly and helpful, rooms very clean, view from our room of the Sea and island is as good as life can give. 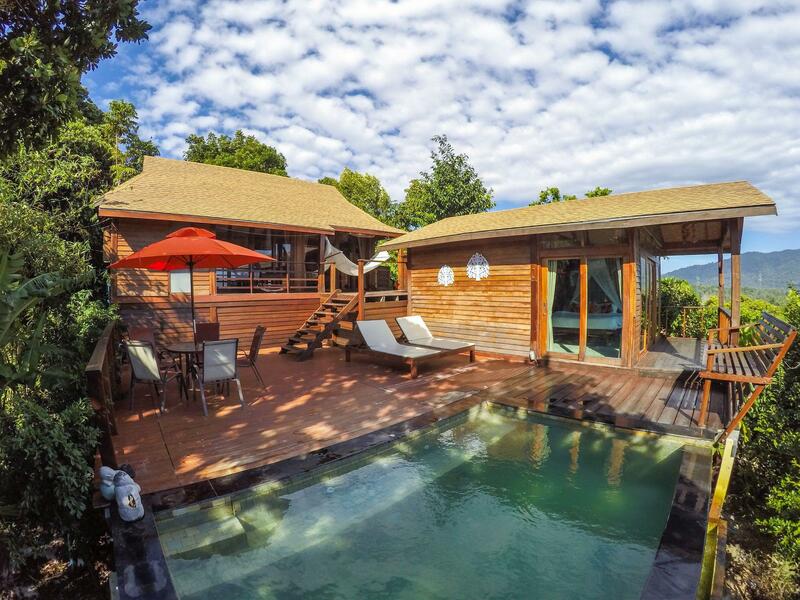 Bungalow charming, and private pool is refreshing and one of our favorite parts of experience. We find ourselves regularly dipping in to cool down. Thank you to the staff over at Serendipity! My 3 friends and I visited the island during mid-June (low season) so the seas were choppy and about 40 percent of the island's shops were closed and under renovation. Needless to say, it was not as lively as my first visit to the island earlier this year in January. However, due to low season, we got a pretty good deal for such a luxury place. Our villa offered a brilliant view thanks to its hillside location but it may not be super accessible for everyone. We had some difficulty navigating the several flights of stairs at night and in the rain. The resort provided a very comprehensive breakfast, where we could choose what we wanted, what time we wanted it and the choice to have it in the in-house restaurant or delivered to our room. The room was beautiful and housekeeping services was frequent. With the villa being situated in nature, we had some issue with ants and other insects especially if we had food lying around. We enjoyed relaxing / snorkeling / eating while enjoying view / massage. I highly recommend you to stay this beautiful set up! It was nice they allocate us most leads steps room since I was 7 months pregnant.